This guide will help you find reliable information on the culinary and baking arts, in both print and online sources. Baking and Pastry Arts, Associate in Applied Science. This guide was originally created by Neil E. Das, Instruction Librarian, Forest Park Campus. Revised 9/2018, SFox. This guide will help you find reliable information on culinary arts, in both print and online sources. If you have any questions about researching this topic, or about STLCC Libraries, please use the contact information on the left, or Ask A Librarian. Remember to scroll down to the bottom of each page to see all of the available resources. 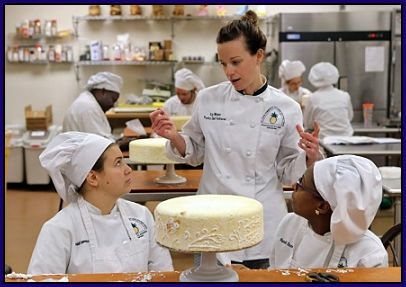 The AAS in Hospitality Studies: Baking and Pastry Arts will allow students to gain the necessary theoretical and practical knowledge to become a successful pastry professional. Concepts of baking theory; breads, rolls, and bakeries; production pastry techniques; and cake production and decoration will lay the foundation for essential pastry-related skills. Advanced classes in artisan and decorative bread; ice cream and frozen desserts; chocolate candies and showpieces; plated desserts; and sugar candies and showpieces will allow specialized training in specific areas of concentration for the aspiring pastry chef. 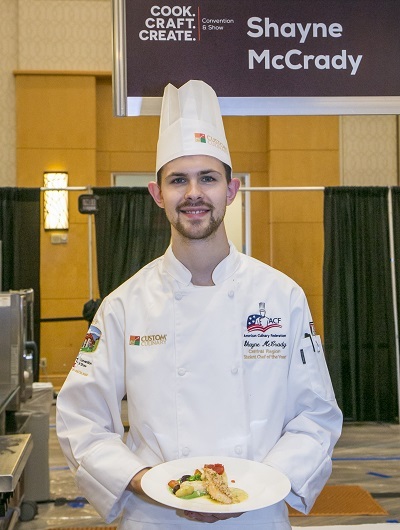 The final course, Baking and Pastry Arts Capstone, will give the student a real-world simulation of what to expect upon graduation, while preparing them to earn the Certified Pastry Culinarian certification from the American Culinary Federation. Personal enrichment courses through Continuing Education: Get cooking! Our Culinary Arts classes are brimming with flavor from instructors who will share their knowledge, techniques and tips with you, giving you the confidence you need to make cooking a simple, fun and creative experience! Explore areas like Baker’s Delight, International Flavors, the Main Event, Appetizers and Sides, and Tips and Tricks. The American Hotel and Lodging Association (AHLA) and the National Restaurant Association Educational Foundation (NRAEF), through support from the National Network of Business and Industry Associations (National Network), have partnered to define Common Employability Skills (CES) for the hospitality sector and to develop tools to assist employers in identifying these skills in potential recruits during the selection and hiring process. Download the Toolkit or click on link below.